Mexican Corn on the CobTry this tasty butter for a Mexican twist! Sweet corn is only in season for 4 months from July to October, so there isn’t much time to enjoy it at it’s peak freshness. It’s well worth grabbing as much as you can get and cooking it up on the BBQ in the sunny summer weather. 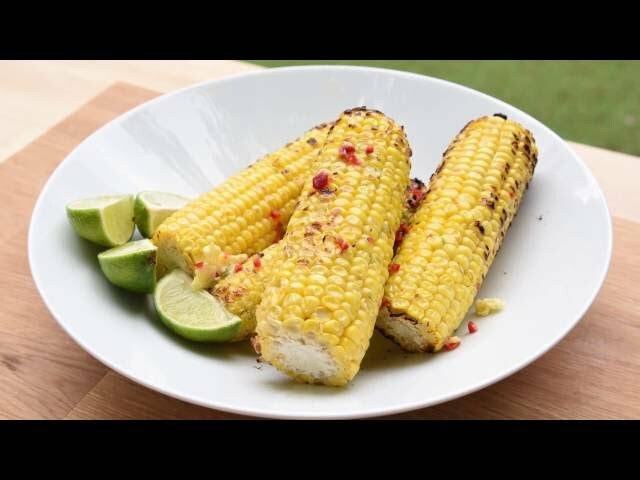 Corn always goes down as a treat at parties and goes wonderfully with butter, but if you prefer adding more of a kick to your meals however, try this recipe for Mexican style corn on the cob which includes a twist of lime and the heat of chillies. BBQ corn on the cob until cooked through and slightly brown on the outside. Cover the cooked corn on the cobs with the butter mixture and let it soak in for a few minutes.